We were recently honored by the Kansas City Chapter of AIGA with four awards at their 13th Annual Design Awards, otherwise known as A13. Many thanks to the jurors and to our peers. This year we were recognized for work that is very close to our hearts and confirms our joy in what we do every day. 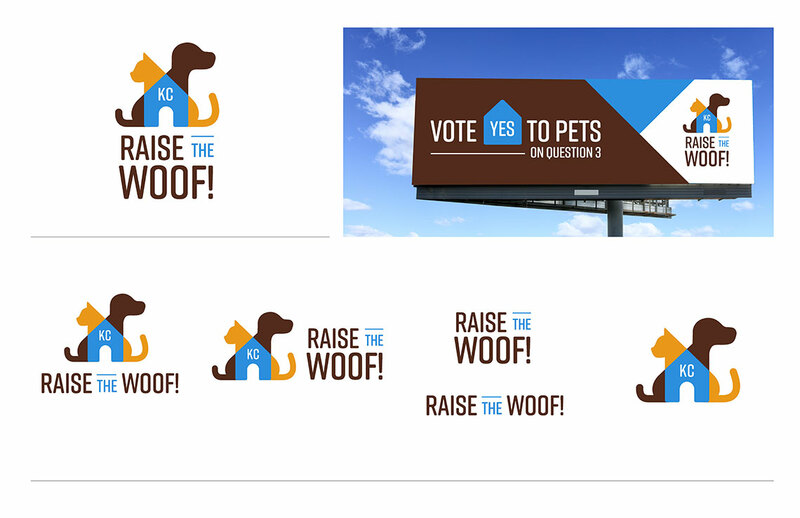 In anticipation of an upcoming vote to fund a new animal shelter for KC Pet Project, we created Raise The Woof to encourage a Vote Yes. We’re very happy to report that the bond issue passed by a huge margin and the new shelter is well on its way to completion. 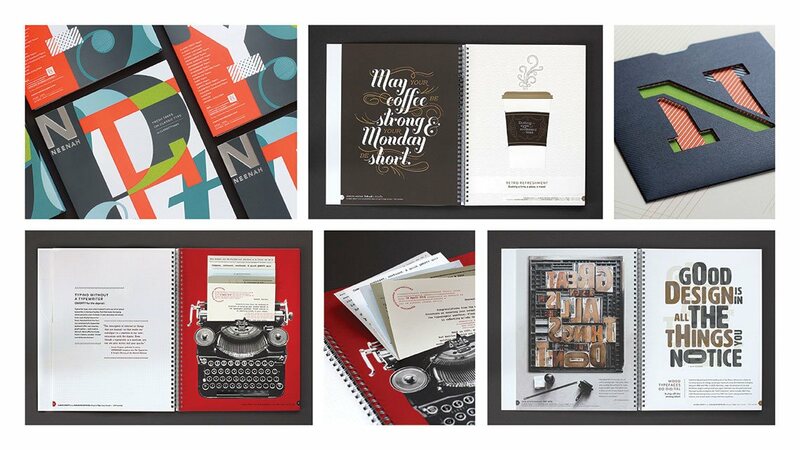 Paper is, and always will be, a designer’s friend and we were delighted to be asked to help design the materials for Neenah Paper’s CLASSIC® line. 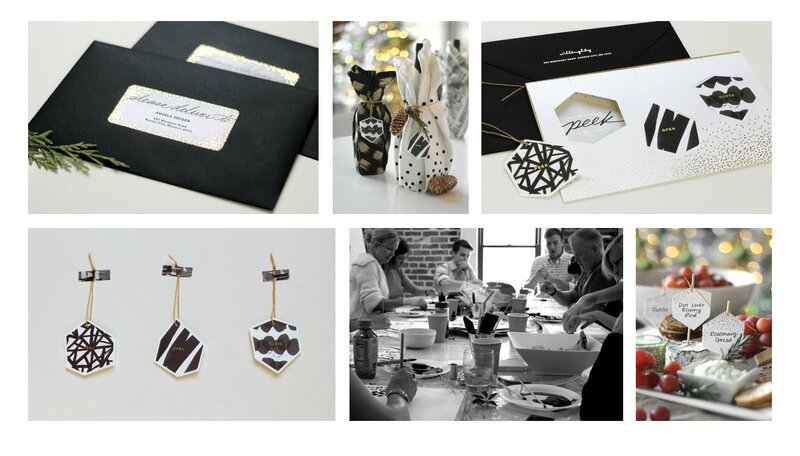 Working with some of our type heroes we demonstrated the many ways that type loves paper. 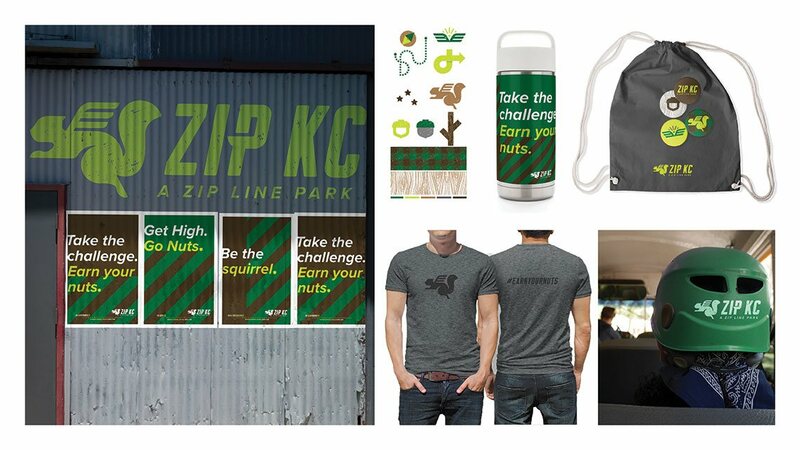 If you’re hired to create a brand for a zip line park in the midwest you must work a tree-dwelling, fun-loving flying squirrel into the identity. You just must. And then they will name him Zippy and love him and adopt them as their own. For the past few years Willoughby has created a Holiday card that includes punch-out gift tags, because punch-out gift tags are fun and you can pay the greeting forward. 2016’s edition was a group effort with an agency-wide painting party to create abstract art for our tags.